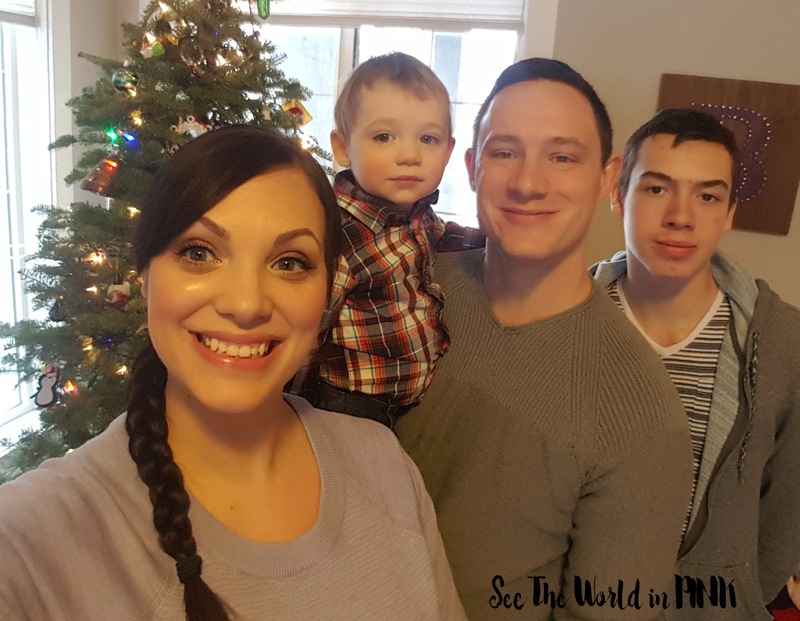 I recently shared a full post about travelling with a baby to Disneyland, and I can say no matter what age your kid is, Disneyland is the perfect vacation place! L.A. and Universal Studios was a little tougher; but, I will have a full post soon! We were on our trip to California when Damian turned 13, so it was nice to have all the family there to celebrate! 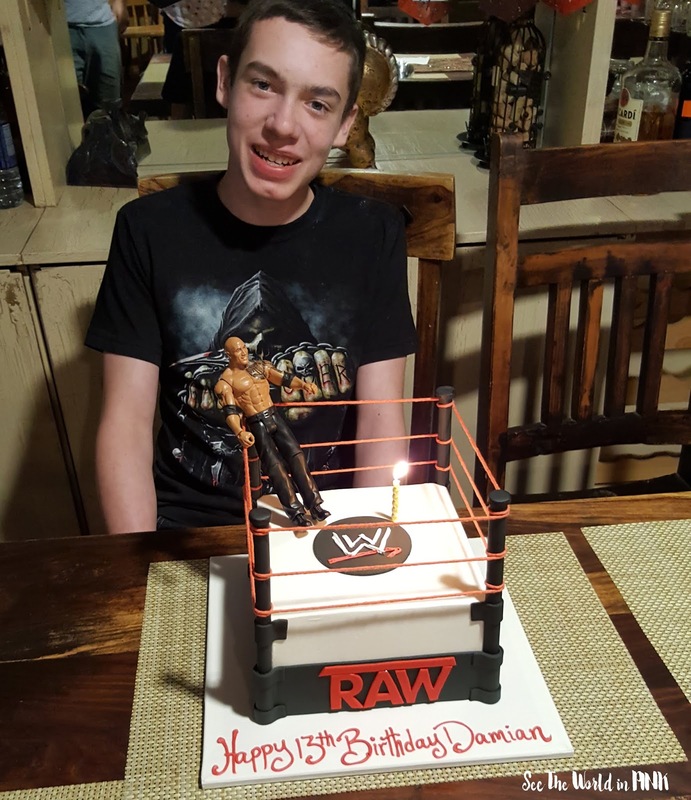 Plus, Damian really likes WWE right now, so how perfect is this cake?! I'm feeling pretty lucky that even though D is a teenager, he's still super in to sports and games with his friends and nothing crazier! I was actually super anxious going in to 2018 about work - when I went on maternity leave, I had to give up my Monday to Friday position at work and was going to have to go back to shift work. I was hoping to go back half time as is pretty common at our work after mat leave; but, unfortunately they started denying this. But, luckily a position I was interested came up, and I interviewed while I was on leave (after a crazy rough night with the baby); but, I got the position and it's a Monday - Friday and a supervisor spot! Plus, the held the job for me so I still got to finish my full maternity leave! I really enjoyed being at home with the boys - I've decided that I could totally not work and just keep myself busy with all my hobbies! But seriously, not only was the year at home great for my time with Elliott, it gave me more time with Damian too. I drove him to school most days and picked him up and I've never been able to do that before because of my work hours! It was so nice! It was hard to go back to work! The year seemed to fly by most of the time (and drag on a few long nights); but, Elliott is such a smart, busy little boy and I can't believe how quick his first birthday came! 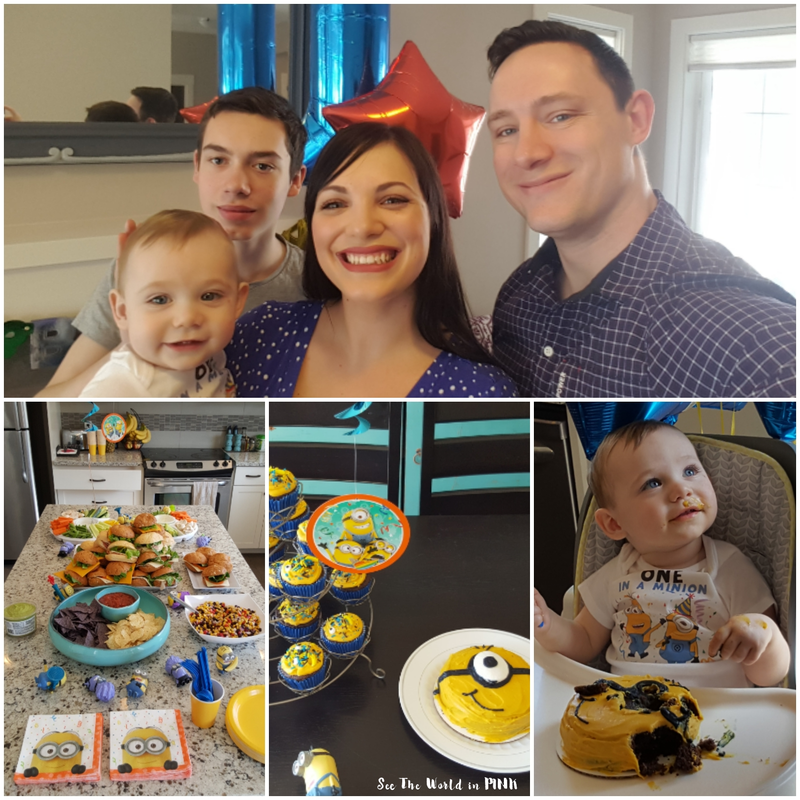 We had all the family there for the special day and had minion everything there! 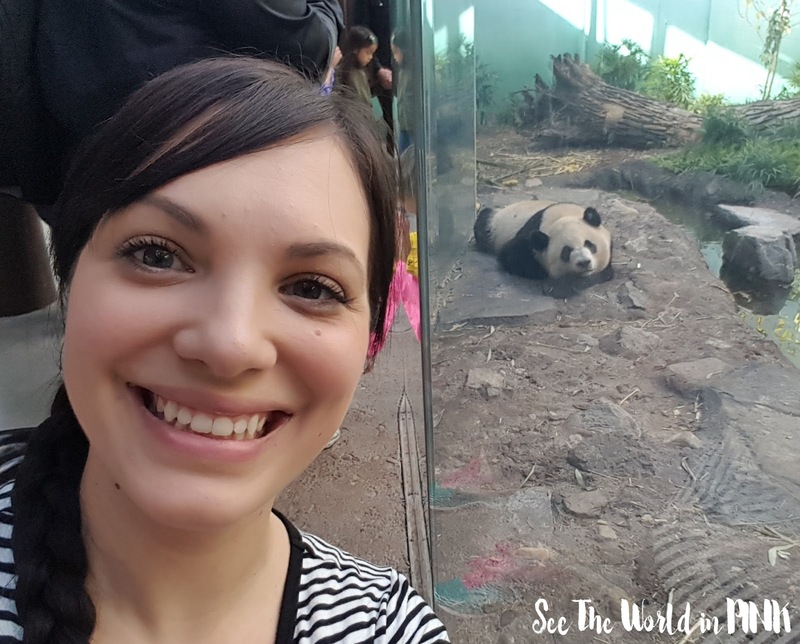 The last time the Calgary Zoo had pandas was 30 years ago in 1988 and I was only 2 (I also didn't live in Calgary at the time; but, I did go visit them and that trip started my lifelong love of these animals! Seriously, every project in Elementary School that I could do I always picked pandas and I just think they are the cutest. This trip to the zoo was not for the kids, it was all me and they are soooo cute! We will be doing lots of zoo visits while they are here for 5 years! Who's kid is this?! I found Junior High so hard and Damian has been doing so well in school! I'm so proud that all year he made Honour Roll and he also got a "Leader of Tomorrow" Award this year! So proud of how well he has been doing! We had such a great Summer with lots of family trips - Edmonton, Penticton and Fairmont! 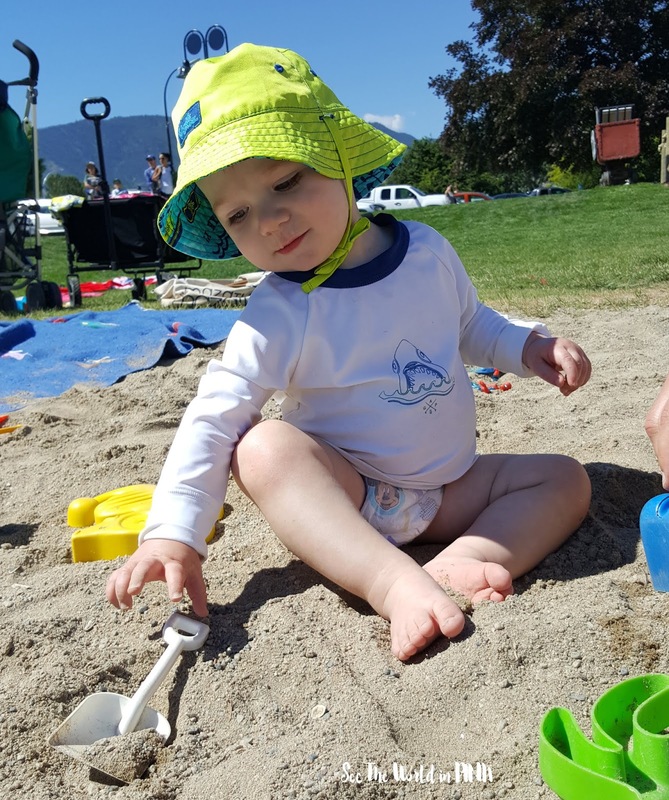 And Elliott is at the amazing age where watching his new "firsts" are so fun - first time playing at the beach is the cutest, first stampede breakfast, first time seeing farm animals, first time at the dinosaur museum - you name it, we loved doing it! Also, my first time calling 911 was because of this crazy little boy recently locking himself in a room and me being totally unable to remove a door handle. Volunteering is one of those things that I'd love to do more of when I have more time for it. I spent a night with co-workers packing food hampers at the Food Bank it was pretty rewarding. It was crazy how much food and how many hours we put in and it was only enough for one day of hampers! It made me pretty thankful and made me want to volunteer more! 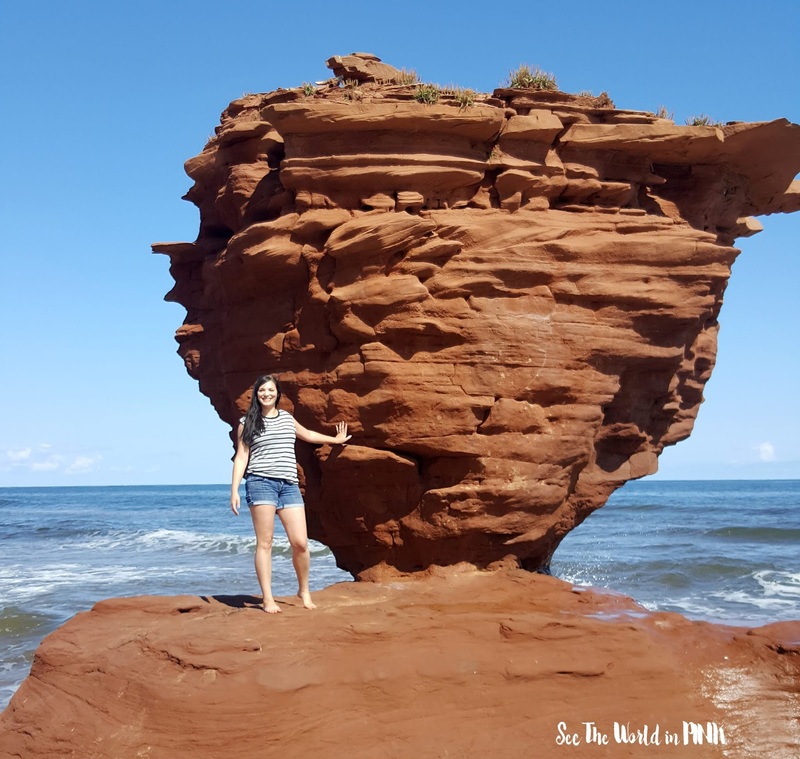 Took My First Trip To The East Coast And Visited P.E.I. We had friends of ours get married this Summer and they chose P.E.I. as their wedding destination! I have never been to the East Coast of Canada before and was very excited to go. It was nice because it was Mitch and I's first trip alone post-Elliott! It was nice to have a couple of days to ourselves and we celebrated our 3rd wedding anniversary there too! What a beautiful place to visit - I do plan on writing a travel post soon too! Ah, right before Christmas my husband's sister had their 2nd baby - Maia and she is so cute! I can't wait to meet her - she lives in Sweden; but, I just love her already so much and get to see daily photos of her! This is pretty much a given; but, seriously I just loved every minute we all spent together this year! Damian is such a good older brother and Elliott just loves him so much. This picture sums up the highlight of my year and that's my family! Love these guys and our Christmas was so fun - the boys got spoiled and I got some time of work just to hang out with the family! 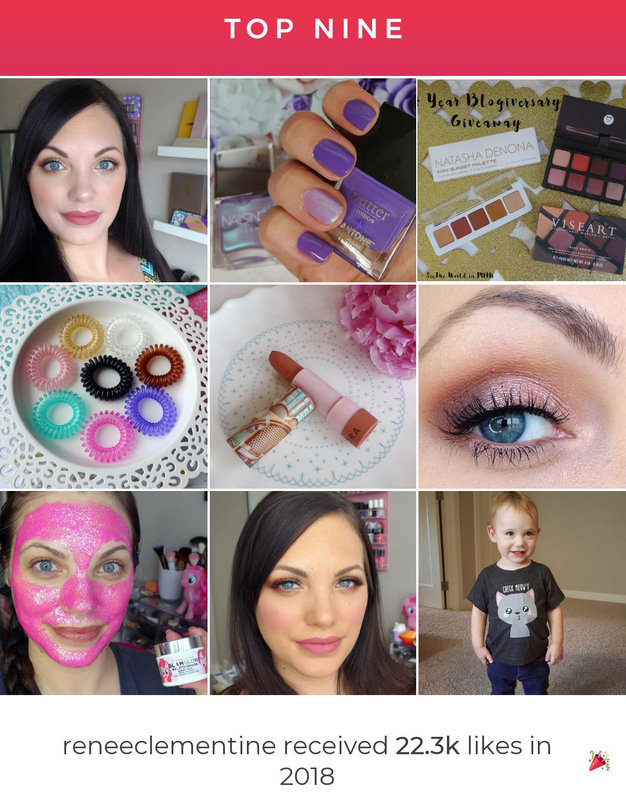 And, I love seeing what you guys love seeing too - here are my Top 9 posts for 2018! I'm wishing you guys all an amazing 2019 - I know this will be a great year too! I have lots to look forward to and will share it with you guys as it comes! Awww I loved reading this! My god, I can't imagine having ONE kid, and you've got one entering their teenage years and a new baby (practically). Congrats on the new job - that's such a relief that you were able to nab that job even after a rough night! I still can't believe we missed you in LA by what.. a week? If only we'd been able to meet up there! Thank you!! And it would have been so fun to meet you in L.A.! One day! 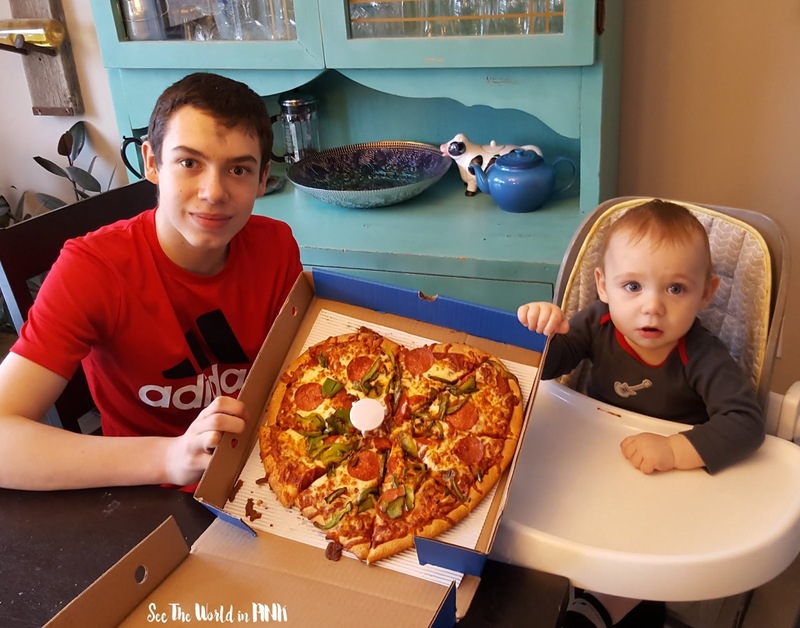 I can't believe you have one of each - a teenager and a toddler! You'll be flexing your parenting muscles to the MAX! And you tell Damian it's AWESOME that he is on honour roll! The schools in North Van are planning on eliminating it which I think is sad. And I guess a trip to Sweden is in the works soon? That will be FUN!